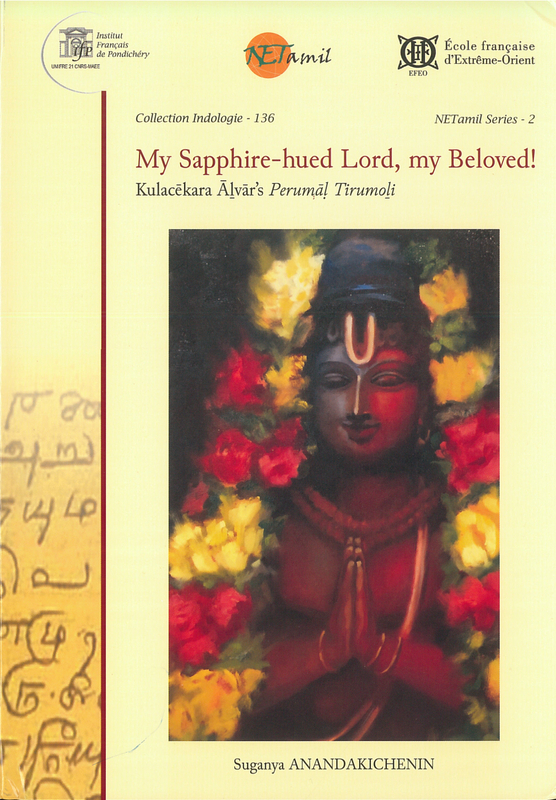 Home Page » Books » Collection Indologie » My Sapphire-hued Lord, my Beloved! 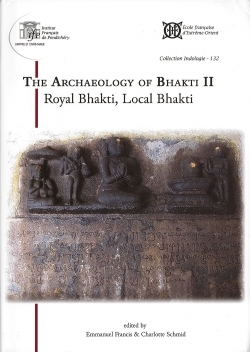 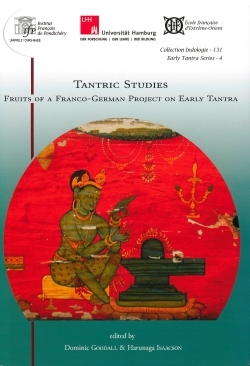 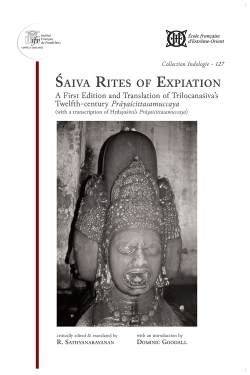 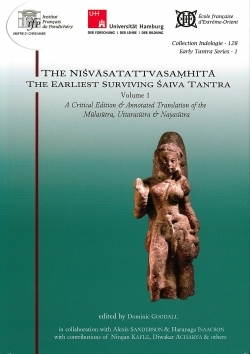 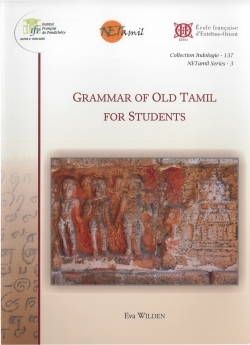 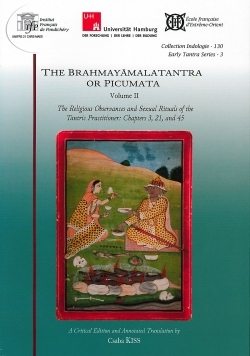 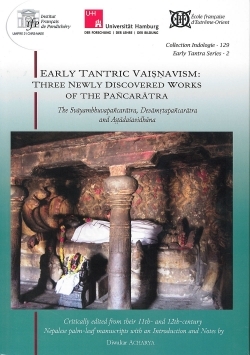 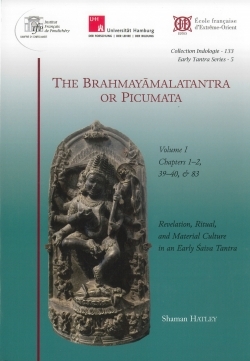 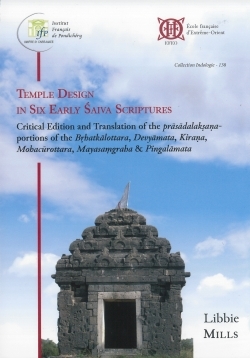 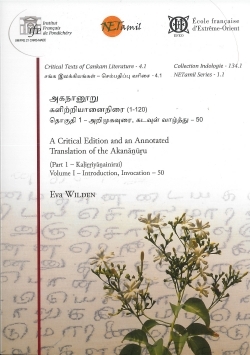 This book is a complete annotated translation of a 9th-century Tamil bhakti poetic work known as the Perumāḷ Tirumoḻi, by Kulacēkara Āḻvār, as well as of its medieval Śrīvaiṣṇava commentary in Sanskrit-Tamil Maṇipravāḷam by Periyavāccāṉ Piḷḷai (13th c.). 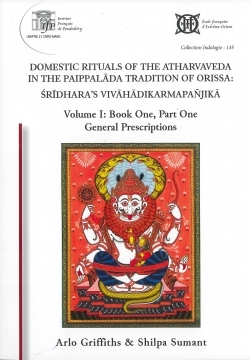 The Perumāḷ Tirumoḻi is now part of the Tamil Śrīvaiṣṇava canon called the Nālāyira tivviya pirapantam (Nālāyira Divyaprabandham, or ‘The Four Thousand Divine Compositions’), and is composed of ten decades dedicated to different forms of Viṣṇu. 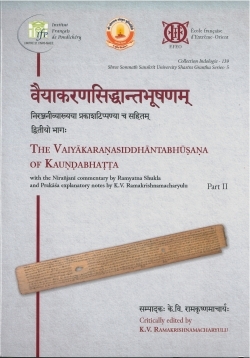 This book also includes an introduction, which seeks to find out who Kulacēkara Āḻvār really was, given his mysterious – and often disputed – identity.